The catamaran is Saba 50 model, designed and manufactured in France by Fountaine Pajot. Saba 50 is wide and light; with optimize free space while delivering outstanding performance at sea. Another advantage of the model is the visibility from the saloon, which is on 360 degrees, thanks to the large hull windows. 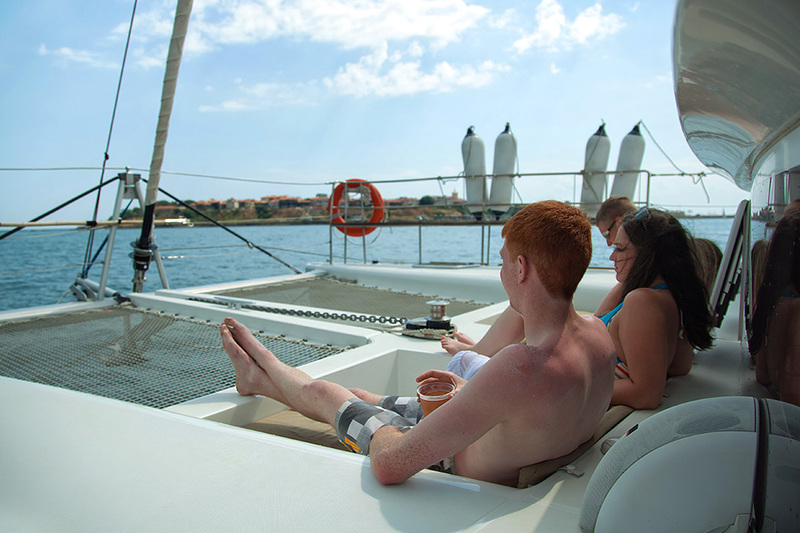 The Catamaran has luxurious relax areas, including an upper lounge deck and two sunbathing decks. At the same time the roof is designed to hide the tourists from the bright sun or sudden rain. 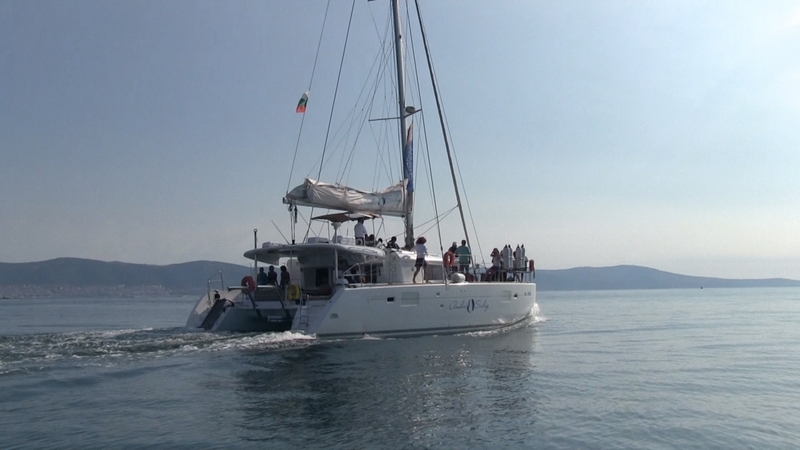 The Catamaran is appropriate not only for the standard programs, but for rent from small groups and companies.We would be happy to respond to your inquiries about chartering the boat by small groups or parties of guests, who would like to enjoy their privacy on board without the presence of other tourists. In addition to the services and food/drinks cited in the standard brochures, our bar offers an excellent selection of wines and drinks that will satisfy the most demanding guests. 09:00 / 14:30 After boarding we will inform you about the program and safety rules. 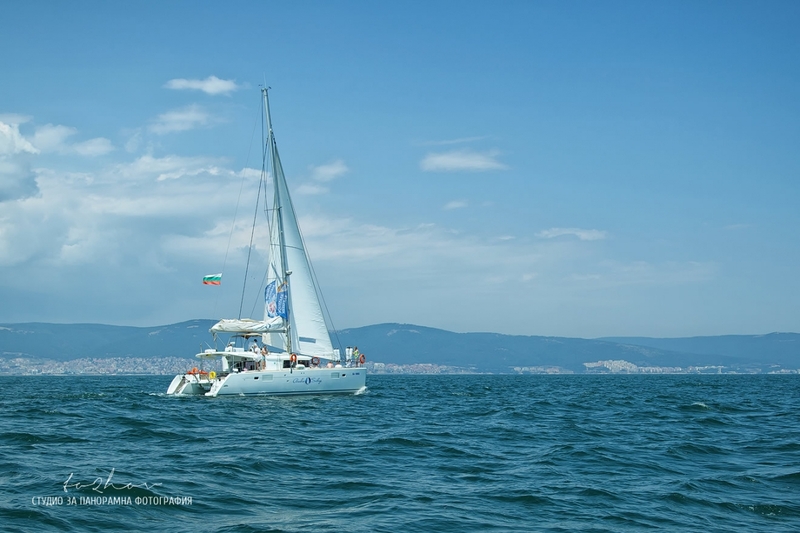 You will be welcomed with drinks and after that everything is set for an exciting sailing trip, during which you can relax without any worries. You can just have fun – the bar is open and tea, coffee, beer, soft drinks, croissants, cookies and crackers will be served. The music is on and our crew will boost your mood! 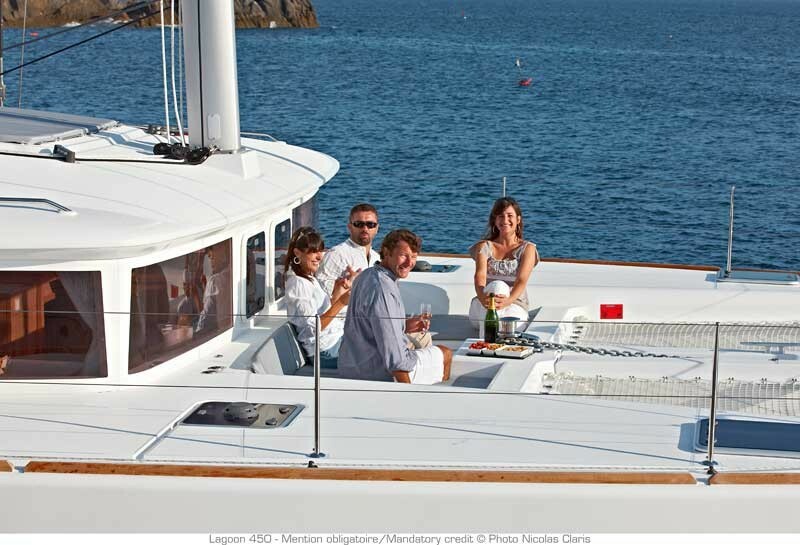 Have fun and enjoy the pleasure of being our special guests on board of the newest catamaran in the region, which arrived from the modern shipyards in France in the beginning of summer 2015. 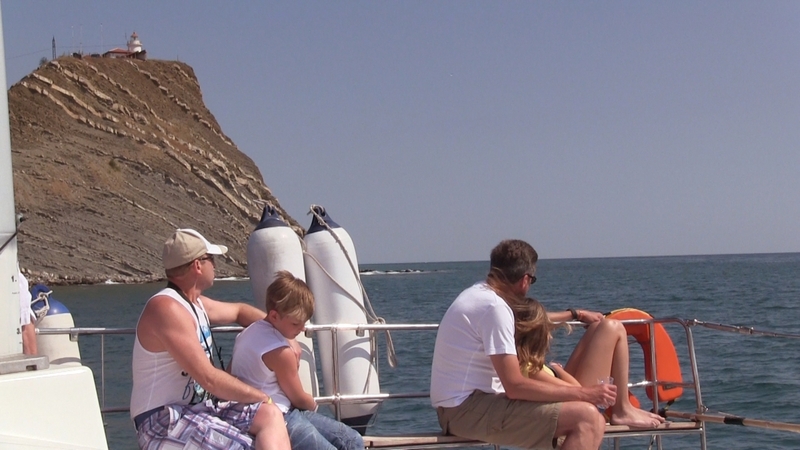 We approach the coast where you can dive, swim or sunbathe. You can use swim fins and goggles. While you are relaxing or taking pleasure in different activities, an elaborate lunch is served for you on board. 13:00 / 18:30 We moor at Nessebar Harbor. We will take you back to your bus stop.